Even though the weather in Texas during August is hot and not very suitable for enjoying the outdoors, we wanted to take the trailer out for a few days, so we went anyway. 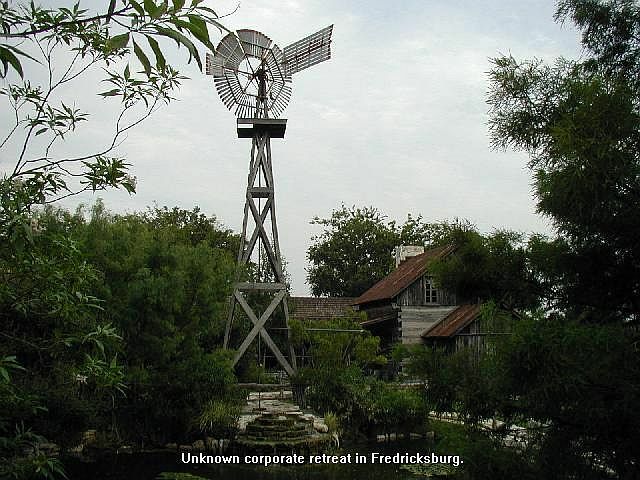 Our destination was Fredericksburg, about 70 miles northwest of San Antonio. 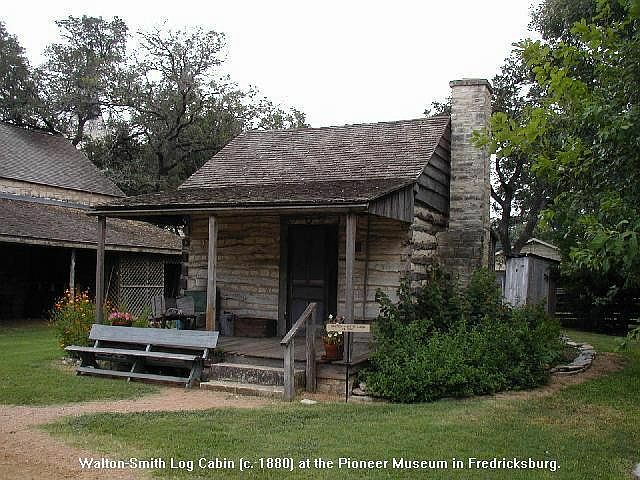 Fredericksburg was settled in Comanche Indian territory by immigrant families from Germany in 1846. An 1847 treaty brought peace with the Indians. The German influence is still evident today. 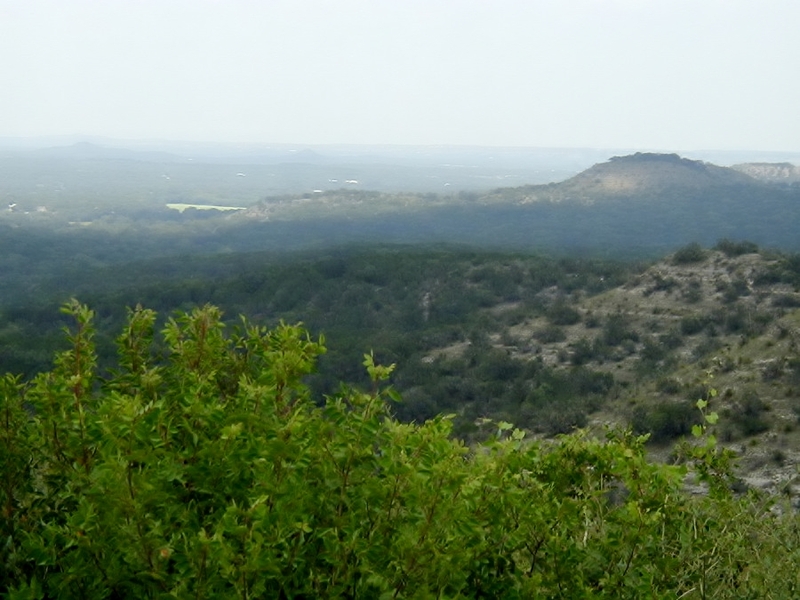 It is the county seat of Gillespie County and is on the Edwards Plateau in the heart of that section known as the Texas Hill Country. The "hallmark" of Fredericksburg is its mile-long, clean and wide Main Street which runs through the business district. Century-old native limestone homes and store buildings stand side-by-side with new structures. 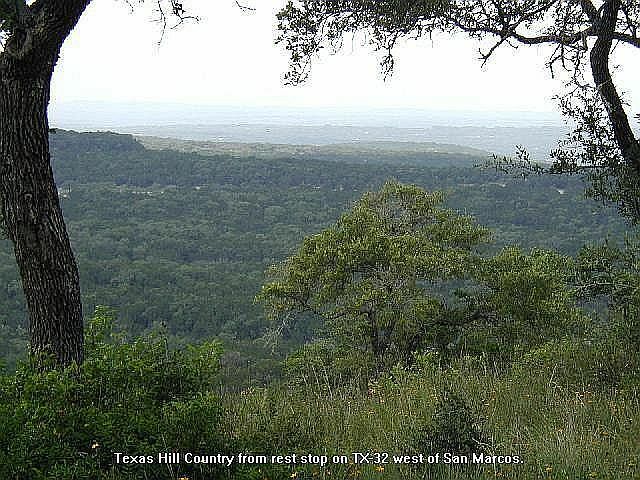 Within an easy drive in the hills are many interesting sites, including Enchanted Rock State Park. We left Richmond on Tuesday morning via US Alt-90 west. At Gonzales, we took US 183 to TX 80. 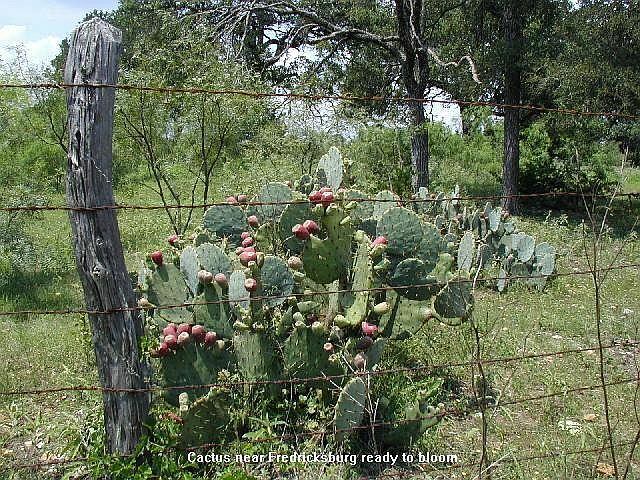 At San Marcos, we took TX 12, TX 32, FM 1623 and US 290 to Fredericksburg. We parked at Oakwood RV Resort. Wednesday morning we visited the Fredericksburg Herb Farm. We walked around through the herb gardens and bought some seeds in their gift shop for planting in our home garden next spring. 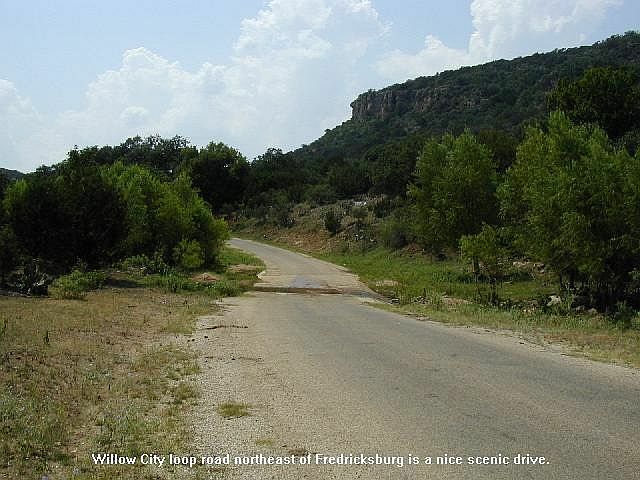 After lunch, we drove up TX-16 north of town and turned onto Old Willow Road, following it to Willow City. Then we took the Willow City Loop north and back around to TX-16. This road winds through hill country ranch land and was pretty in August, but is supposed to be great in the spring when the bluebonnets are in bloom. 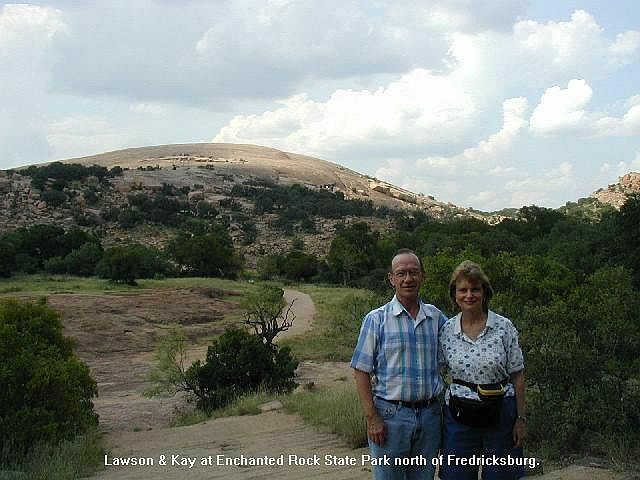 At TX-16 and FM-965, we drove south on FM-965 to Enchanted Rock State Park. We looked through the small museum and drove to the parking lot at the base of Enchanted Rock. It was too hot to hike the trails to the top of the rock this time of year, so we duly noted it for future exploration when the temperature is cooler. Thursday morning we visited the Fredericksburg Butterfly Ranch. Afterwards, we walked along Main Street and ate lunch at the Plateau Cafe (good food). In the afternoon we visited the Pioneer Museum. 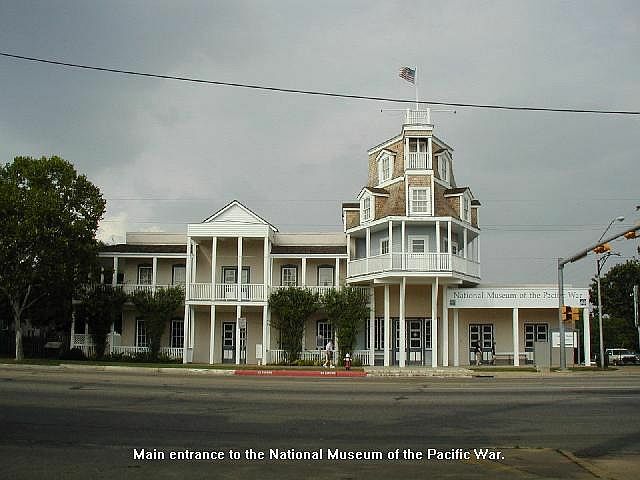 Fredericksburg is the birthplace of Admiral Nimitz, commander of Pacific forces in World War II. Friday, we spent most of the day going through the extensive National Museum of the Pacific War. 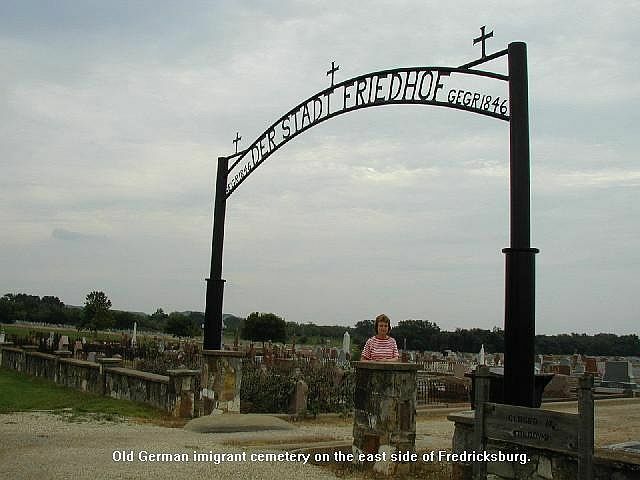 Afterwards, we walked through an old German immigrant cemetery nearby. Across the street from the cemetery was an interesting group of old buildings. We were told by someone that it was assembled as a bed and breakfast but failed, and is now a corporate retreat for SAS. Nobody was around so we enjoyed walking around the grounds and looking at the old buildings, landscaping and other interesting things. Saturday morning, we started back toward home on US-290, detouring at Luckenback Road, to stop by the famous town. 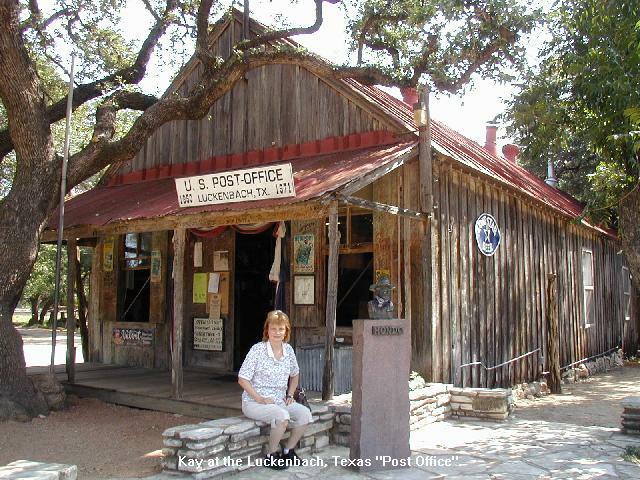 The old "Post Office" (really a tourist shop and bar) was still in business, but the floods of July 2002 washed the cotton gin away and flood waters got up to the top of the counter in the old store. Everything appeared to be "back to normal" again. This draws to a close our Fredericksburg trip. We hope you enjoyed the pictures and brief descriptions of our adventures. God willing, join us again for another RV adventure soon.